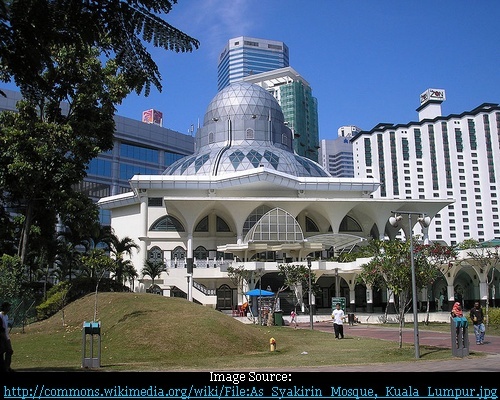 The As Syakirin Mosque (Malay: Masjid As Syakirin) aka KLCC Mosque is a newly constructed mosque and is part of the Kuala Lumpur City Centre (KLCC) project. Built in 1998 it is situated near the public park adjacent to the famous Petronas Twin Towers and Suria shopping Centre. 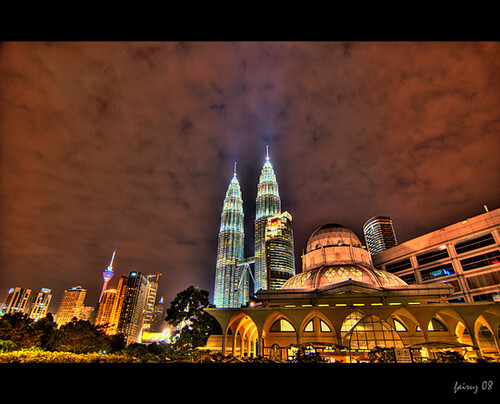 Being located in the vicinity of the park near the famous Petronas Towers, it is nicknamed 'Jewel in the Park'. Its location also makes it a tourist attraction for all those who visit the twin towers. 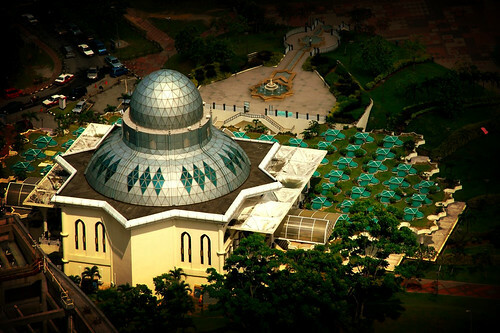 Originally the mosque was designed to cater for a congregation of 6,000 persons but because of its popularity it was expanded and can now accommodate 11,000 persons.